For pilots that use digital charts and approach plates on their iPad mini for in-flight navigation this deluxe iPad Kneeboard is the perfect aviation accessory. 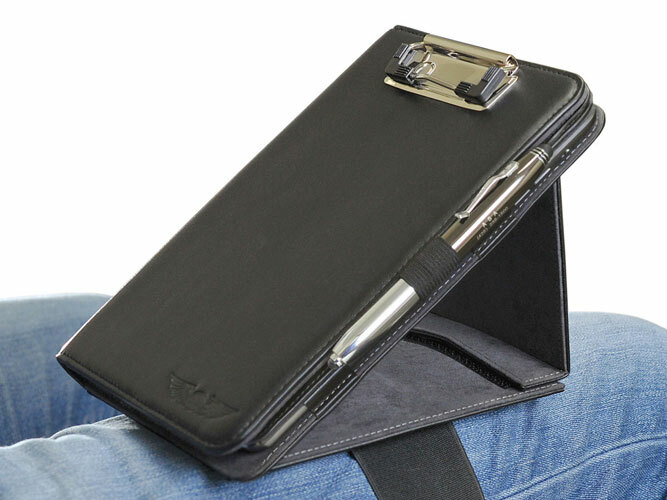 Made with handsome black leatherette, with wings embossed on the front, this professional looking case protects the iPad mini surface both in and out of the aircraft. For use inside the cockpit the iPad Mini Kneeboard has an elastic strap that attaches securely to the pilot’s leg. 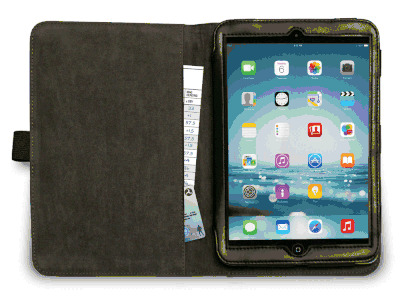 The iPad itself fits inside a microfiber sleeve that allows the pilot full access to all controls and buttons. The left side of the kneeboard has a pocket to hold important documents or papers. 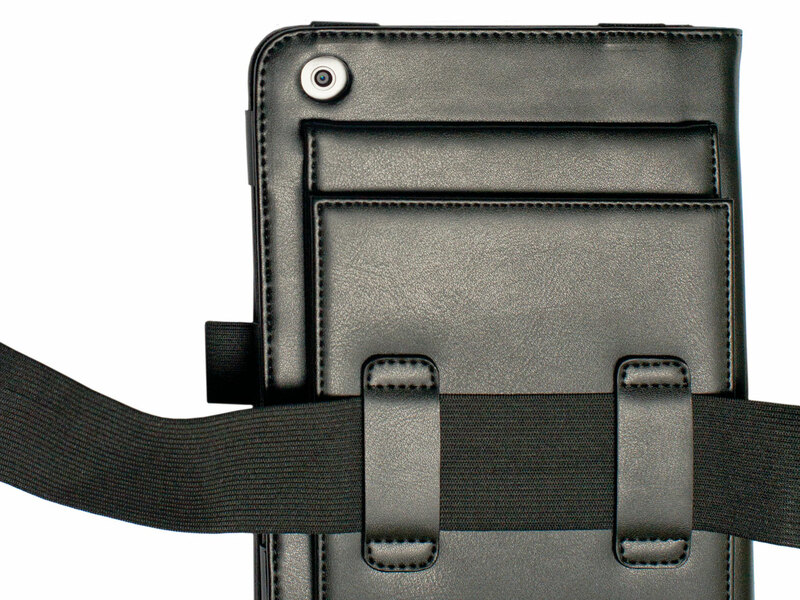 We also like the fact that this deluxe iPad Mini Kneeboard has such a great design. The outside front of the iPad Mini Kneeboard has a holding clip for a notepad, and the back even has a cover window that shows the camera lens for quick and easy photography. The built-in easel capability allows for a convenient tilted view. Even better is that the dock connector/power port is accessible with the cover closed. An elastic loop holds a pen or stylus.